Love this deal for the Leafs. We finally get the big forward we've been desperately looking for and only give up an underachieving defensemen. I can see Luke doing very well in a new location and playing with his brother but he was never going to be the player we were hoping for here. What you Philly fans have to say about JVR? I haven't seen him play much because of injuries but when I have he looks like he can be dominating. Well same thing here. We have been waiting for him to become that dominating power fwd and he has only showed us bits here and there. Injuries are probably the main cause for his underachieving play. Every year he was going to break out, and never did. However, he is young and has plenty of time left to show us what he can do. He can be very hard to stop when he hits that next gear. Sorry to see him go. Schenn was our best defensemen in his rookie year but has regressed since then. His second year was bad and last year he was in and out of the roster and when he was in he was playing the second least minutes behind the pylon Komisarek. He is a big and physical stay at home defensemen with zero offensive ability which is right up Philly's alley (except the zero offense part) but he makes a lot of mistakes and is really slow on his skates. Like JVR he has upside and can become a big shutdown defensemen but it wasn't going to happen here. Its not a bad fit but straight up for JVR? I think JVR easily breaks the 60 point mark next year if he stays healthy and is on a line with a couple of guys that can make him better like Lupul. I always wanted JVR to play the LeClair / Tim Kerr role of camping out in the crease and chipping in shots. I was sure he could do that but it seems like he did not want to sacrifice his body like that yet. Hartnell did it last year and Simmonds was even playing like that for a while on the powerplay. You guys sure are amassing your own little American army up there, huh? JVR looked dominant in the playoffs a few years back. 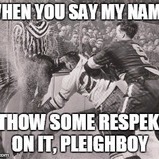 He was the best player on the ice in many of those games. Holmgren threw all kinds of $$$ at him and was hoping for his dominance to continue but he seemed to be injured for the most part. He is still young and unfortunately the Philly brass and fans have zero patience. It's not as if he demanded a new contract. Anything short of 30-40 goals and he was going to be considered a "bust"....As I have said before he is young and just because you pay him "star" money, doesn't automatically make him a star. He is still learning but has all the necessary skills to be a bigtime player. Because of the big contract Homer gave him, Philly literally couldn't afford to wait for this...that and the fact the defense is older, slower, and they are still paying Pronger... I miss you Luca Sbisa....! I heard that. We gave up on him too soon as well. I am sure there is something else in the works. But if someone else is in on D who will be out? Cool. Well in that case you can fire that Carle gamer you got over to me. Lol! I think they will go after Ryan. Just afraid of the casualties that may result in. If Flyers fans hate Matt Carle's turnovers, you're going to despise Luke Schenn. I absolutely hate this deal. Edit - It would be a mistake to not resign Carle at this point. If Carle walks, outside of Timonen, the Flyers will seriously lack puck moving defensemen. Carle has his faults, but he and Timonen are the two best passing and breakout defensemen on the team. I think Meszaros is on the way out. I really hope they stay away from Ryan. The fascination with this guy is ridiculous for what he is. And quite frankly, I think some local fans are persuaded by his close ties to Philly. Im not knocking Ryan, he is a good player, but from the reports that the Ducks want either B Schenn or Couturier (which according to Holmgren wont happen) you're looking at giving up Voracek, Read, and a pick. I certainly wouldn't do it. Amazing deal! I couldn't believe my eyes when I saw this....and it was straight up too! Too much worrying here, Flyers fans. Chillax. This was a potential deal, the Leafs are hoping JVR isn't the bust he's been leaning towards, and the Flyers are hoping Schenn regains his form in a better environment with his brother. JVR has been dominant roughly 2.5 games. That's it. He has not liven up to the hype. They put him with Giroux in the beginning of the last season and he put up pedestrian numbers. He's seemingly injury prone, he has no nastiness to his name what so ever, and he has no idea how to use his size. I'm glad he's gone. PLUS we have a plethora of offensive depth and a gaping need in defense. This trade was perfect. As for Carle, every single thing I've heard points to him being resigned around $4.5-5 a year. Also, Schenn is a right handed shot. I'm not going to go into a deep insane analysis, but most of Carle's turnovers come from playing the wrong side due to a lack of a righty. Mark my words, Schenn will make Carle better by a lot. Lastly, with Ryan, he wants to come here since he grew up over the bridge, and I think he'd put us over the top. Could you imagine him with Giroux? As it stands, without Carle resigning yet, we have roughly $11-12M in cap space. Give Carle $5, down to $6 for our purposes. Ryan's cap hit is $5.1M, which would be matched if we sent back Read/Voracek and Meszaros, which is what I'm assuming it'll take otherwise it's pulled. Their salary matches that and then some, leaving us with roughly $6.5M. And that, my friends, is enough to pursue ANY top free agent, including Suter (who doesn't want to go east), Parise, Doan (if he doesn't resign), or even trading for Weber. This has been an excellent offseason so far. In all honesty, Im not including Voracek in a package for Ryan. If it was straight up, probably, but we both know that wont happen. I loved what i saw from Voracek this past season and wouldn't be surprised in the slighest if he put up 60+ points this year. If he works on his shot, like he said he would, he will be dynamic and crucial to the team. As for Read, right now one of the best bargains in the NHL. I think what we saw from him last year is what we can expect from him. I dont see his point totals increasing or decreasing that drastically. But with his current cap hit of $900k for another two years, why would we deal him for a player who makes over $4 million more, yet only had 10 more points than him? In my eyes, it's more rational to pursue a ufa with that extra $4 million who would score more than that 10 point difference between the two players. That way we can keep Read, and a top 4 pk'er on the team might I add, plus add some extra offense. I like Ryan, dont get me wrong, but he isn't worth gutting the team for. You could apply the underachieving label to either guy. Schenn was healthy underachieving but honestly looking at his numbers they are not bad all things considered. He's not an offensive guy so if he can post 20-30, block a good number of shots, play physical and improve his rating proportionate to the the improvement in the quality of his team, then he's where he should be. Not a great deal for the Flyers maybe but they flashed JVR around as a centerpiece in big deals for Ryan, Nash, et al and obviously there were no takers. You're not going to get equivalent value trading a forward for a D, they got sort of close here. I don't mind the deal even though Toronto could win it in the long run. JVR wasn't an indispensable piece for the Flyers, who scored PLENTY with him injured last year. They needed a guy like Schenn and the change of scenery will be good for him. No concern about his stepping into an intense media market since he came from an even more intense one, his brother is there, etc. I have no issue with the deal. I do not see the Flyers making a move for Ryan or Nash nor should they IMO. Could use a veteran backup goalie and another DMan perhaps.